Rob Baker Principal Programmer at game developers Caged Element has taken to the official PlayStation blog this week to announce a release date for the upcoming and highly anticipated Grip Combat Racing game launch on PlayStation 4 which will take place on November 6th, 2018. – 8 vehicles (3 manufacturers), with paint job, rim and tire customization. Another car coming soon! – 5 Weapons (Scorpion, Raptor, Ironfist, Hydra, Assassin). Another weapon next update! – Play single player (against AI), Split-screen with a friend or ONLINE versus players all over the world! 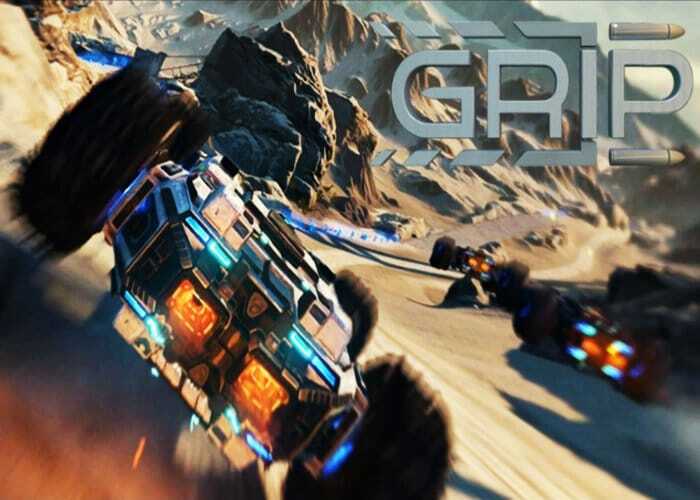 To learn more about the Grip Combat Racing game and its development process jump over to the official PlayStation blog by following the link below. Rob explains a little more about the challenges the development team needed to overcome “As the principal programmer on Grip: Combat Racing, I’m responsible for producing all of the code for the game. It’s been a painstaking development process with difficult problems to solve. Making a game that pits vehicles against each other at over 700 mph is a challenge even with cars that keep their wheels firmly on the road… but in Grip you can drive on walls, ceilings or anything else you can get your tires to”. Check out the three biggest challenges the development team faced by clicking the link below.